The Beacon Club offers day care to older people with dementia. The club aims to improve the quality of life for people with what is often a socially isolating condition, as well as support them to continue to live in their own homes for as long as possible. The club helps to monitor problems which may arise throughout the course of the illness and offers advice to clients and carers on where to go for help. Staff keep up links with other caring organisations. Break for Carers while clients are at the club. 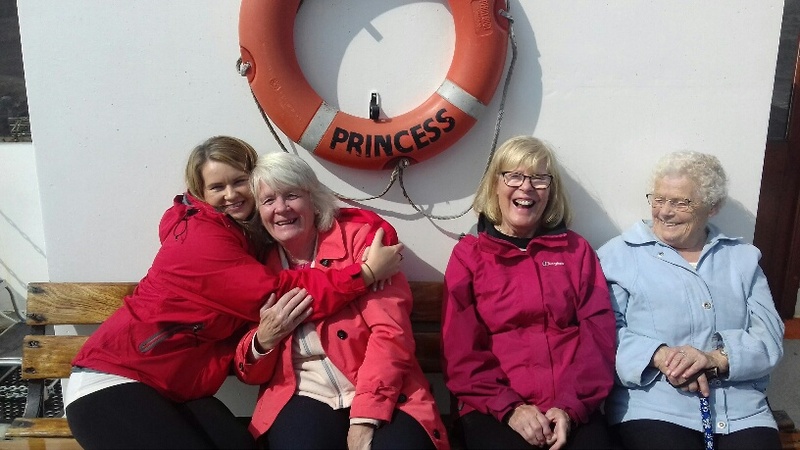 The aim of the group is to provide a safe, friendly, relaxed and stimulating environment for people with Dementia and their Carers to spend time in, to socialise and to sing with the emphasis on enjoyment and fun. It is also an opportunity to meet others, have a chat and enjoy a cuppa. How to find us: Gorgie Dalry Stenhouse Church is situated on the corner of Gorgie Road and Chesser Avenue. Past activities have included outings to places like the Royal Botanic Garden of Edinburgh, the Water of Leith Heritage Centre and trips on a Seagull Trust barge on the Union Canal. We have worked with clients individually to help them tell the story of their lives in their personal “Life Story” book. Periodically the group undertakes an arts project such as making a colourful and inventive display for the wall. Each year, those who like gardening plant up the raised tubs in front of the Centre with bedding plants. The club is run by two part-time staff members and a team of volunteers. Volunteers can gain valuable experience of working with older people in a supportive environment. The volunteering role can enable personal satisfaction from helping others, provide the opportunity to gain new friends and for some it can be a stepping stone to a career in care. We welcome inquiries from anyone interested in volunteering with us. Please contact Nancy Bryson on 0131 455 7731 if you would like to find out more or are interested in joining us. Anyone can make a referral so if you care for someone elderly with dementia who would like to come along please get in touch. Referrals are also received from Health and Social Care Department, G.P. Surgeries, Health Professionals, Hospitals and other relevant agencies or individuals. For further information contact the Project Manager on 0131 455 7731. The Beacon Club was founded in 1994 and has been funded by a variety of funders over the years.